A light greenish-yellow liquid with a fresh sweet-fruity, slightly spicy scent, blends Roman chamomile, juniper, lemon. Blends: Neroli, rose, ylang ylang, citrus oils, sandalwood, jasmine, roman chamomile. Uses: Topical application, massage, compress, bath, skin care, inhalation, diffuser, oil vaporiser. 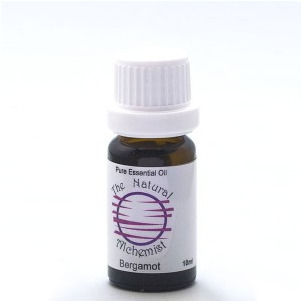 In oil burner helpful for calming emotions, Skin - useful for oily complexions. Used in: fragrances, cosmetics, toiletries, perfumes, eau-de-cologne. Safety Data: Found to be phototoxic in concentration and in dilution even after some time. Otherwise non toxic and relatively non irritant. Do not use before exposure to sunlight. External use only, do not swallow.